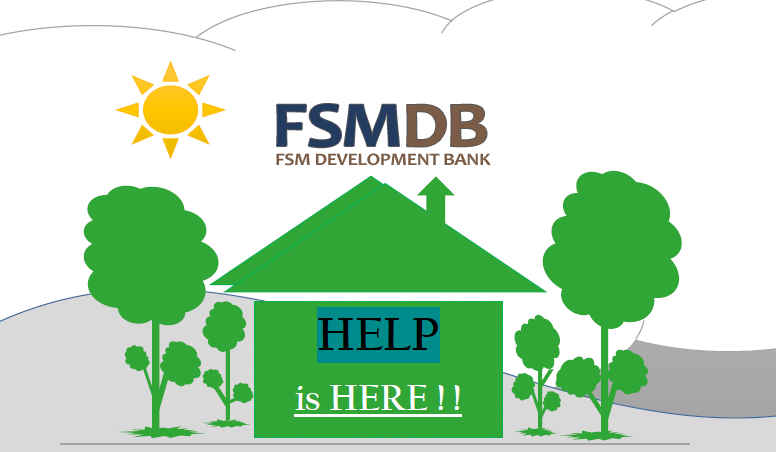 FSMDB now offers Home Energy Loan Program of HELP for new and existing homeowners in the FSM to have an energy efficient house. Energy efficient house means house design that is cooler and less utility cost. Click here for the product brochure and flyer. Technology Modernization and Server Virtualization Project The FSM Development Bank is soliciting proposals to supply the required technology equipment and systems, provide the professional services, and including training and maintenance support for a server virtualization and technology infrastructure modernization solution for FSMDB. Click Here for More Details. The FSM Development Bank is your partner in business. Apply now for a corporate loan, home loan, or line of credit! Contact us at any of our FSMDB branch offices for immediate assistance. The FSM Development Bank is a key player in the development of the private sector in the Federated States of Micronesia that enjoys the confidence of the national and state leaders, its customers, regulators and stakeholders.